If you’re not using an acid in your routine you need to start now! 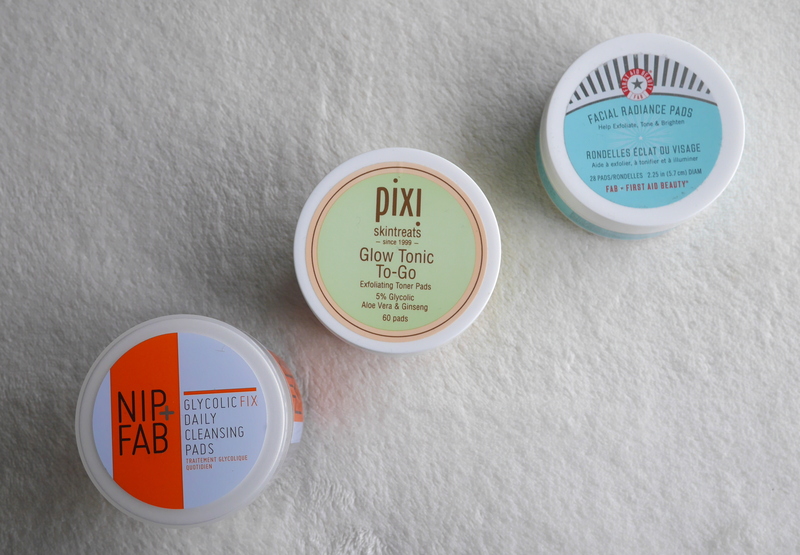 After dabbling in the Pixi Glow Tonic I was hooked on having an acid in my skin care routine. Not knowing how much to use in my routine led me to picking up some pre-soaked pads and thought it was time to share my findings. I’ve been trying these out over a period of about 6 months so I feel like I’ve got to grips with these perfect ‘lazy girl’ products. 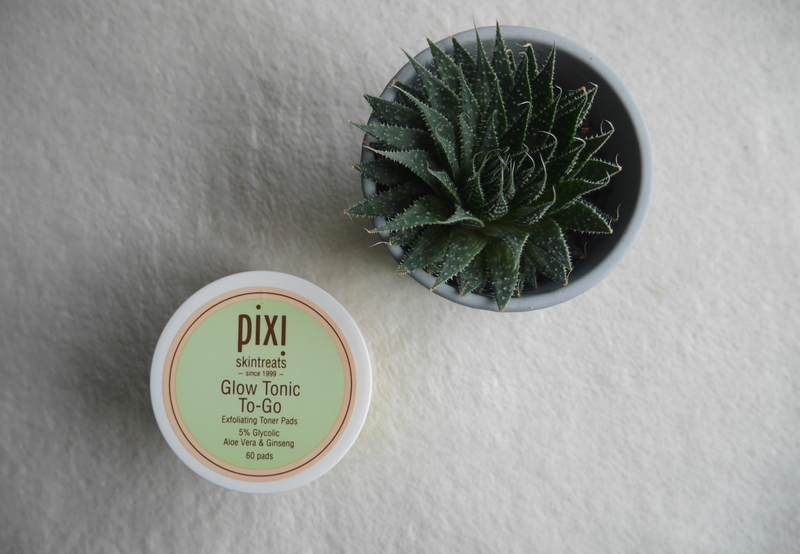 Pixi Glow Tonic To Go– £20.00 for 60 pads. Having tried the original in a bottle I knew I had to try the pads version. It tones, brightens and hydrates whilst gently exfoliating with 5% Glycolic Acid. 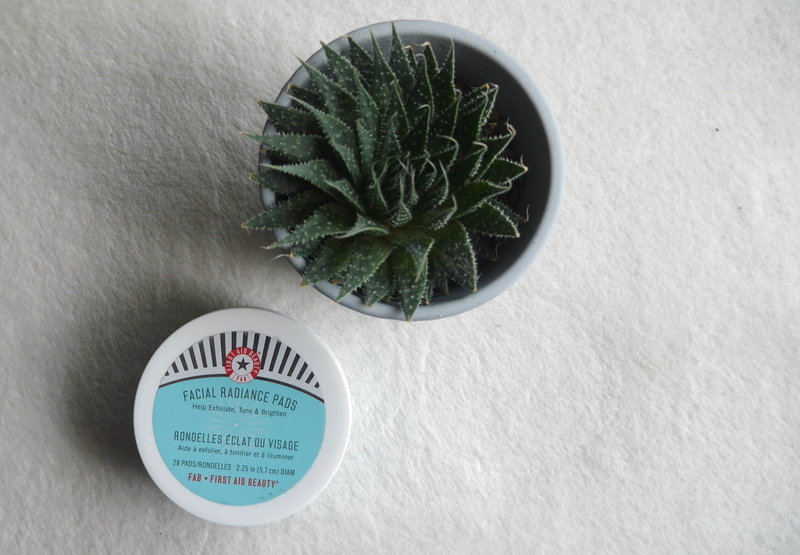 These ones certainly refresh my skin, especially in the morning and have calming Aloe Vera to heal and soothe irritated skin, so great for anyone with sensitive skin. 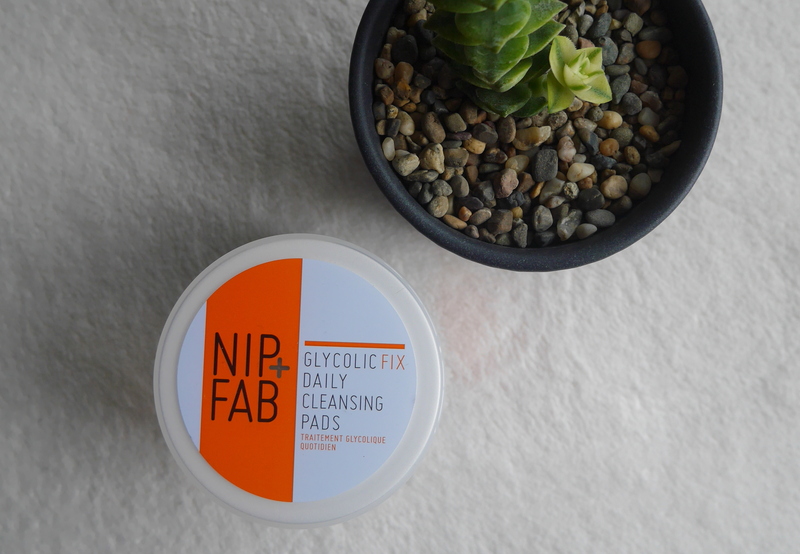 Nip+Fab Glycolic Fix Daily Cleansing Pads – £12.95 for 60 pads. A good high street version or for anyone just starting out with acids, this has less Glycolic Acid in it compared to the Pixi ones, 2.8% However it is also packed full of Hyaluronic Acid to moisturise and Blue Daisy to calm irritated skin. Great for dry skin as it has that extra moisturiser in it but would also work on other skin types. The blue daisy does mean that is scented but this doesn’t bother me as it’s a lovely fresh scent and doesn’t linger on the face. First Aid Beauty Facial Radiance Pads – £24.00 for 60 pads. The most expensive of the three but the only one which also contains Lactic Acid which helps to brighten and exfoliate. I can’t find the % of each acid online for this product but I would imagine that the Lactic and Glycolic acid combined together would be around 5% but don’t quote me. It also contains Lemon Peel and Goosberry to aid in the toning and brightening. I found these pads to be wetter than the others which I preferred as I felt like I was getting more product; but with the price difference maybe that was for the better! All of these products work, I’ve found my skin to have less texture, look brighter and make up certainly applies easier after use. If you are a beginner or on more of a budget then definitely pick up the Nip+Fab ones. Then as you get more used to the acid I would recommend progressing onto one of the others. If you suffer from acne then the added lactic acid in First Aid Beauty ones is a great choice for helping combat any spots. Personally I will be repurchasing the Pixi Glow Tonic To Go pads as they have the highest amount of Glycolic acid, plus it’s great for sensitive skin. Any suggestions of ones to try are always appreciated!